Perhaps one of our most significant decisions in life is how we’ll be cared for when we can no longer care for ourselves. It’s not something most folks are eager to discuss. Some families make a decision early, placing a reservation at a retirement community or moving in well before care is an issue. In other cases, an emergency forces families to make quick decisions for a loved one. Some seniors will enter a community as an active retiree, and will move through the stages of a community as their needs evolve. Others will find one place and call it home. According to the Assisted Living Federation of America, the average assisted living resident is 85 years old and will stay for about two years, at a cost of nearly $3,300 a month. About 40 percent of those in assisted living need assistance with three or more daily activities – but that’s just one part of the “continuum of care” that many communities offer. There’s independent living, for active seniors, and skilled nursing care for those with greater care needs or Alzheimer’s/dementia. Many communities accept applicants as young as 55. Many factors will influence a family’s choice: How much care do Mom and Dad need? Will this community fit their lifestyle? How much will it cost, and can we afford it? Also, will they pay for care using personal financial resources, or will long-term care insurance be needed? It may not be the easiest decision your family will make, but it’s an important one. Thankfully, there’s plenty of help. This guide will help you to navigate those important questions, and will introduce you to some of the excellent care available within our region. Delnor Glen Senior Living’s mission is to help residents and their families to feel comfortable and at home in a community. It does so with attractive and up-to-date decor, kind and caring staff, and a picturesque setting with tree-lined streets, walkways, flower and vegetable gardens, and open spaces. 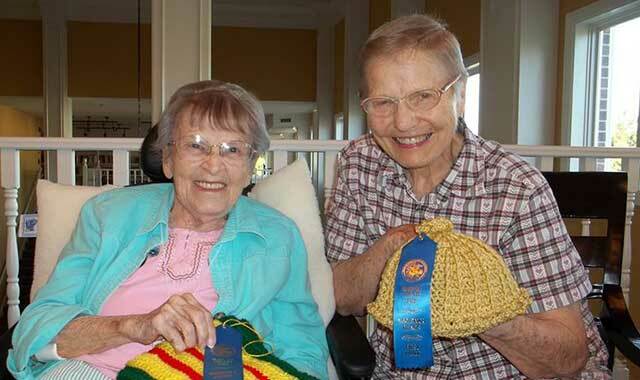 This community also takes an atypical approach to senior care. “It’s called person-centered care, and it’s all about the trusting relationships you make with each person you meet along the way,” says executive director Peggy Faught, RN, C.
Faught, a nurse for 36 years, was first introduced to person-centered care about 15 years ago at a conference. The value of this different approach was quickly recognized. Four years ago, Delnor Glen received national recognition through Planetree Designation, a nonprofit organization that advances person-centered care among health care communities worldwide. 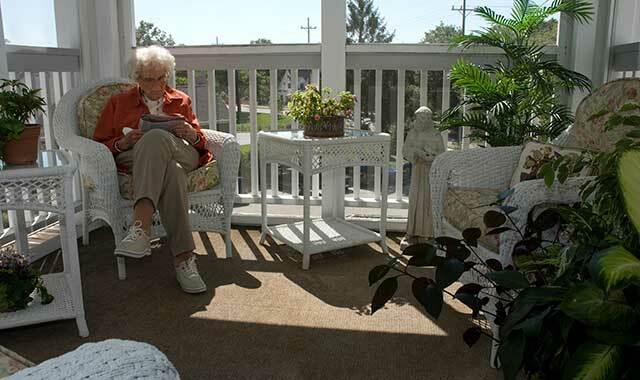 Delnor Glen is the only senior community in the United States to receive such recognition. Delnor Glen encompasses 28 townhomes and 77 assisted living apartments, including a secured Memory Care Community of 15 apartments. 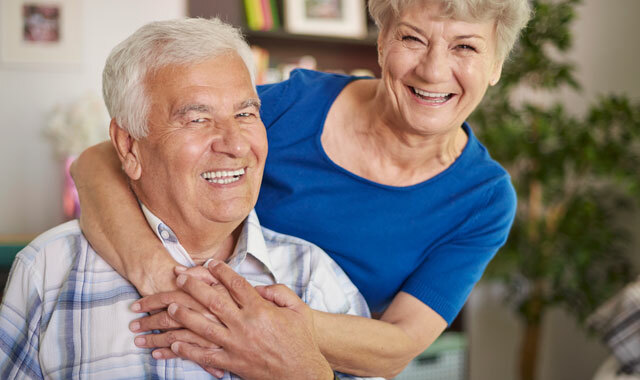 An adult day care program is available for families who care for a senior at home, but are unable to provide care and supervision during the day. For an hourly rate, seniors become a part of the community during the day, getting meals, snacks, outings, activities and medical care. Families always have the opportunity for Respite Care through a Short-Term Stay program, if they are planning a vacation or need a break. Short-term residents can stay overnight for up to two months. Additionally, Delnor Glen reaches out to the community by providing support groups for those affected by Alzheimer’s and Parkinson’s diseases. A specific Parkinson’s exercise group meets on Thursdays. Discovering what makes each individual thrive is the driving force behind the Fountains at Crystal Lake, a Watermark Retirement Community. The Fountains maintains 223 apartments and offers convenient services and amenities for residents on a picturesque 11 acres of wooded land and rolling prairie. It opened in 1989 as an independent living community and 12 years ago became licensed for memory care. It more recently began offering “Adult Day Club” services. The community provides a home away from home for those who can’t stay alone during the day, most commonly while a caretaking spouse or family member goes to work or takes a break. The Fountains provides transportation, meals, activities, supervision and care for seniors in the program. “It’s a win-win for everyone,” says Gamache. “It’s an affordable way to provide a new and refreshing experience for individuals who would otherwise have to sit at home. It also provides much-needed time for caregivers. Gamache finds that residents typically regret they didn’t make the move sooner. Adult Day Club looks different for each person, because services are determined by the family’s needs and desires. Some seniors visit daily, while others come by once or twice a week. Programs and activities are tailored to each senior’s needs, interests, and abilities. As part of Watermark Retirement Communities, The Fountains and its sister communities feature Watermark University, a lifelong learning and wellness program consisting of classes and workshops led by residents, associates, family members and volunteers. These educational opportunities bring people together over a wide range of subjects, from history and literature to yoga, watercolor and bird watching. In the spring, the half-mile Blue Bird Trail around The Fountains becomes nature’s playground and research project. Watering holes, nesting boxes and bird feeders attract wildlife, while an active group of residents collects data about bird activity around the building. The information they collect is shared with other residents as well as Cornell University’s ornithological department in New York. The Fountains hopes to expand its research to include bird counts for the Audubon Society. Gamache, who has a career background in hotel management, made the switch to senior care when he learned how many ways people were benefiting from retirement communities. 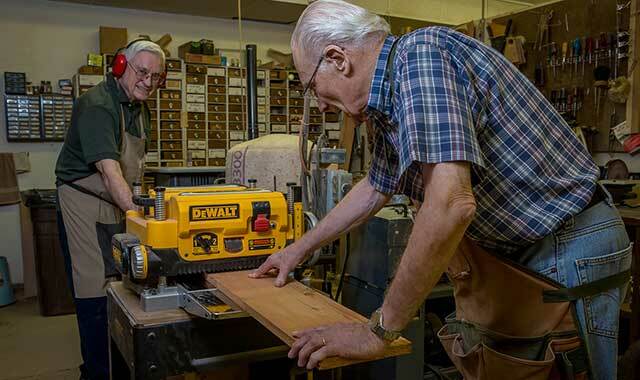 On any given day at The Holmstad, in Batavia, you’ll see a community brimming with activity. Residents are painting with acrylics in the Creative Arts Center or putting the final marks on a Mallard duck chiseled from a block of wood. Authors, professionals and academics lead on-site classes and programming, while visiting musicians perform solo shows or with toe-tapping quartets. There’s Tai Chi and water aerobics on site, and 38 acres of scenic Fox River Valley beauty nearby for residents to explore via walking, running or biking trails. The Holmstad is a faith-based, nonprofit continuing care retirement community administered by Covenant Retirement Communities, the nation’s fifth-largest nonprofit senior services provider. Residents of all faiths and backgrounds are welcomed. The campus offers the charm of a quiet wooded area and the excitement of an active community, with many activities happening at the Town Center. There, residents can access two swimming pools, a fitness center, and formal and informal dining rooms. The Art Gallery features visiting and local artists’ work with receptions year-round. There are musical performances, author presentations and educational programs for both residents and the public to enjoy. Batavia-area families join in what’s become an annual holiday tradition where visitors come to see life-sized nativity scenes created by resident artists and woodworkers. As a continuing care community, The Holmstad offers residential living plus additional levels of care for individuals whose needs have changed. Assisted living, skilled nursing, rehabilitation and memory care are available to residents and non-residents alike. The Holmstad’s memory care staff is accredited by the nationally recognized Alzheimer’s Association CARES training program. New to The Holmstad is Catered Living, neighborhood-style residences for individuals who need that little bit of extra help with daily activities, but not enough to warrant a move to assisted living. At The Holmstad, residents are surrounded by friends and people who care for them. There’s ample opportunity for community outreach. Last year, residents and staff logged more than 15,000 volunteer hours in Batavia and on campus. The Holmstad is one of 15 communities administered by Covenant Retirement Communities, a ministry of the Evangelical Covenant Church. For more information or to learn about upcoming programming and events, visit theholmstad.org or call (877) 226-7310. This entry was posted on Wednesday, May 18th, 2016 at 12:00 pm	and is filed under Personal & Financial Strategies, Top Posts. You can follow any responses to this entry through the RSS 2.0 feed. Both comments and pings are currently closed.